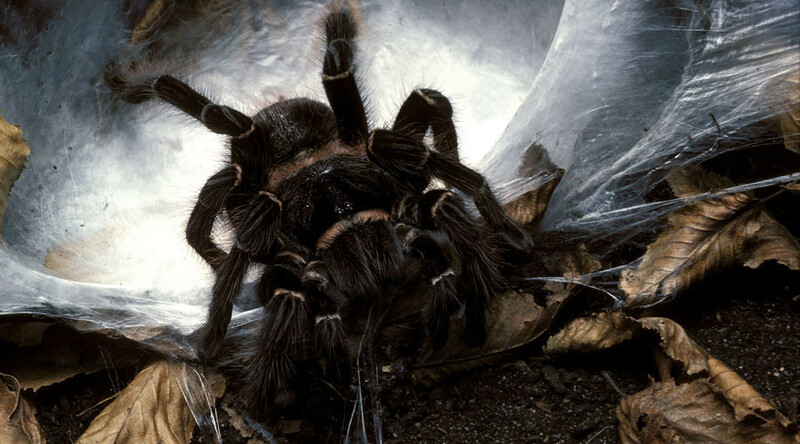 If the thought of sharing your home with a few spiders gives you the creeps, imagine what it’s like to step into the house of Ming Cu, who lives with 1,500 tarantulas, which she breeds and loves very much. Ming Cu didn’t always live in a spider-filled home in Bandung City, Indonesia. What started out as a business opportunity with a friend in 2010 turned into a very different way of life. “My friend, he asked me to sell tarantulas with him, so he asked me to join with him, but in the long run he quit and I am still doing it,” said Ming Cu. “I am still keeping and I am still selling, breeding them, I still love them, even though they have bitten me several times. But love can withstand anything I think,” she explained. Cu says she has spent more than $55,000 on her spiders so far, and now has 1,500 tarantulas living with her. Despite her love for her furry friends, Ming Cu admits that it can be difficult to look after so many pets, especially as she is responsible for making them breed. Her tarantulas are not only her roommates, but also her income, with her collection doubling as a pet shop.